A new study shows that more Americans get behind the wheel while impaired than we may think. 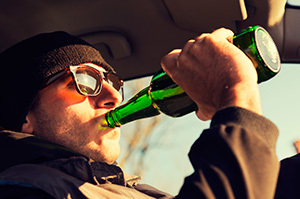 According to a study conducted by the U.S. Centers for Disease Control and Prevention (CDC), approximately 4.2 million people admitted to having driven while drunk at least once in the previous month. Drunk driving greatly impairs a drivers abilities while behind the wheel and can lead to very serious and often fatal accidents. Our DUI lawyers(http://www.edwardslawok.com/oklahoma-dui-collision-attorney.html) have seen too often the tragedy that is associated with this type of accident. We are dedicated to helping accident victims get the justice they deserve. According to the CDC, drunk driving accidents accounted for about one third of all traffic fatalities in the last two decades. In Texas and Oklahoma, Mothers Against Drunk Driving reports that fatalities caused by impaired driving account for 39 percent and 25 percent of all crash fatalities respectively for each state. The data analyzed by the CDC shows that based on the number of people who admitted to having driven drunk in the prior month, there is an estimated 121 million impaired driving incidents every year. That is a lot of opportunity for an accident to happen. The study also identified that the typical drunk driver is a young male with a history of binge drinking. Furthermore, four percent of adults fall into the category of binge drinkers and are involved in more than two-thirds of all drunk driving incidents. Drunk driving is preventable so long as drivers do not get behind the wheel if they have had anything to drink. Our DUI lawyers have years of experience fighting for those who have been injured in drunk driving accidents and can help you get the compensation you deserve.